But we understand that we are human and may say or do something that could have been done better. If this happens we need to hear from you so that we have a chance to understand, to learn and to put things right. When things go wrong we can feel like this. So if at any time you feel unhappy about any of the work SUF does, or at any SUF events, we wish to have the chance to listen and understand your concerns and try to sort it out straight away. This would help us to manage what we call an informal complaint. We can listen and understand. However, if you feel the issue is more serious you can make a formal complaint. You can speak to the SUF Manager or the SUF Chair of Trustees about your concerns and staff in the SUF office will be very happy to support you to make contact with them, to quickly sort things out. 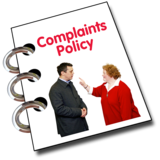 A formal complaint is most helpful if its put in writing so that it can be sent to the SUF Manager and, or the Chair of the Trustee Board. However, if your complaint is about the SUF Manager then please send your complaint to the Chair of the Trustee Board only. When a complaint is received, it will be recorded by the SUF Manager and/or Company Secretary, to ensure it is tracked and responded to quickly. The SUF Chair of Trustees or SUF Manager will respond to your letter of complaint within two working days, giving you a date by which you will receive a full reply. The SUF Manager will arrange for an investigation into your concerns. If the complaint is about the SUF Manager, then the Chair of the Trustee Board will arrange for this to take place. The SUF Office Manager and/or Company Secretary will keep you informed of progress and will let you know if a response to the complaint cannot be made within the timescales which were originally set. Once the investigation is complete the SUF Manager (or the Chair of the Trustee Board) if the complaint is about the SUF Manager, will write to you. This reply will, when appropriate, offer an apology and a solution to resolve the complaint. This letter will also advise you of your right to appeal against any decision made, and who you should contact to take the complaint to the next stage in the procedure. If there needs to be a follow-up stage in the process, the Chair of the Trustee Board will determine this, depending on the nature and the severity of the complaint.